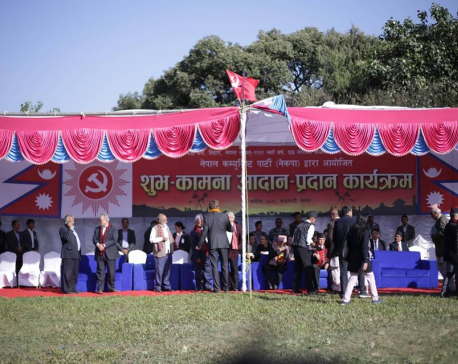 KATHMANDU, April 22: The Nepal Communist Party has concluded its lower level party unification. 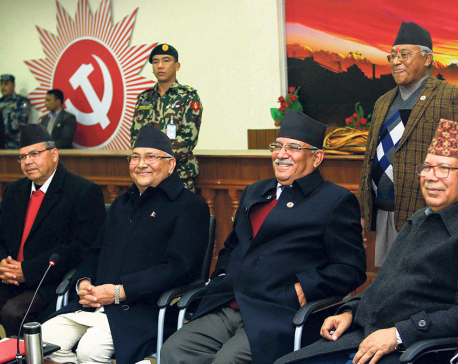 The unification comes 11 months after the then parties – CPN-UML and Maoist Center’s merger. 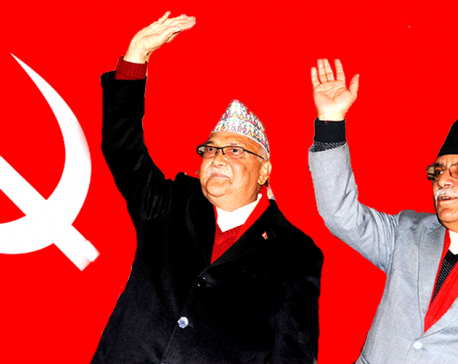 Nearly two years after then CPN-UML and Maoist Center announced electoral alliance in October, 2017 and a year after the two parties formally merged into single political entity of Nepal Communist Party, which rules the country now, the unification process of the party’s lower committees has not yet completed. 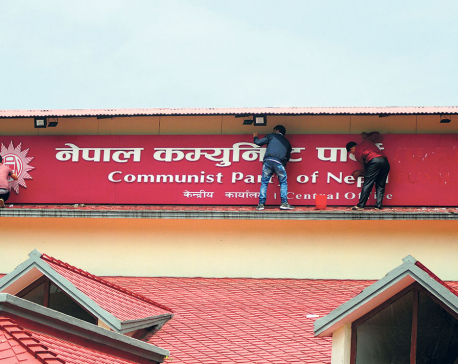 KATHMANDU, April 19: Top leaders of ruling Nepal Communist Party have expedited backdoor negotiations to resolve disputes so that they could merge lower committees of the party by Monday. 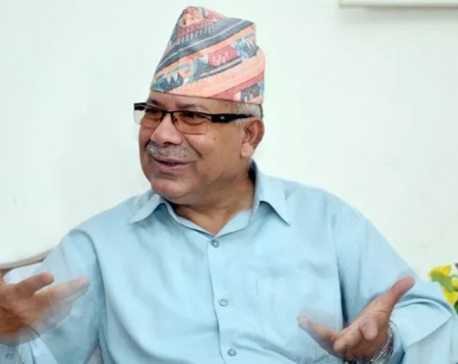 KATHMANDU, April 10: General Secretary of ruling Nepal Communist Party (NCP) Bishnu Paudel is among those owning controversial land at Lalita Niwas, it is learnt. 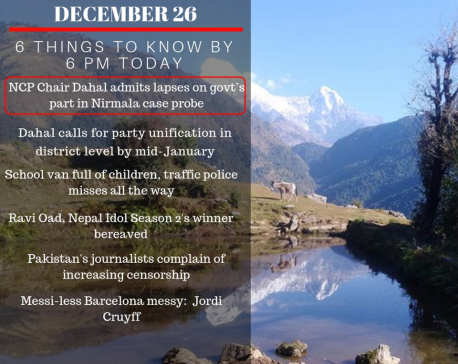 Lalita Niwas was duly acquired by the government and controversy arose after land on the premises was illegally transferred to the names of private individuals. GORKHA, March 23: Spokesperson of the ruling Nepal Communist Party (NCP) Narayan Kaji Shrestha said the Netra Bikram Chand ‘Biplav’-led party itself was not banned but its anti-constitutional activities are obviously under purview. 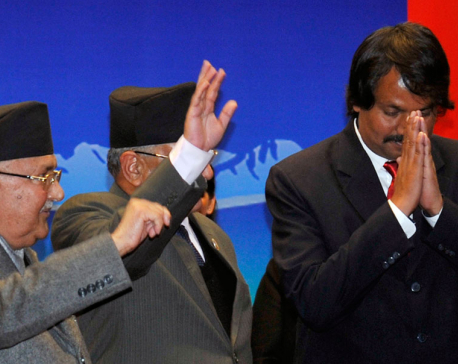 KATHMANDU, March 9: A section of the leadership of the ruling Nepal Communist Party has expressed discontent over the process followed to bring CK Raut into mainstream politics and the content of the agreement reached with someone accused of campaigning for secession. They said one could not conclude from either the agreement process or the language used in it that Raut has denounced his secessionist movement. KATHMANDU, March 5: Police have failed to book key leaders of the Netra Bikram Chand-led Communist Party Nepal (CPN) as the former do not have any orders to do so from the Ministry of Home Affairs. 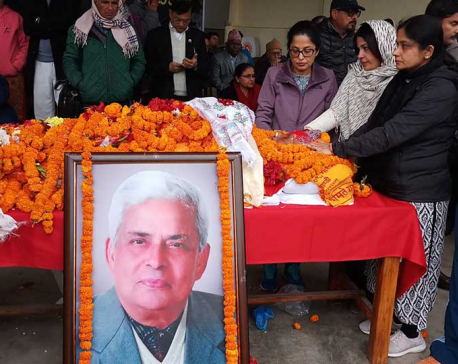 KATHMANDU, March 3: Former Deputy Prime Minister (DPM) and senior communist leader Bharat Mohan Adhikari’s body is kept at the central party office of Nepal Communist Party in Dhumbarahi from 9 am to 12 pm for condolence who passed away on Saturday evening. He was 82. 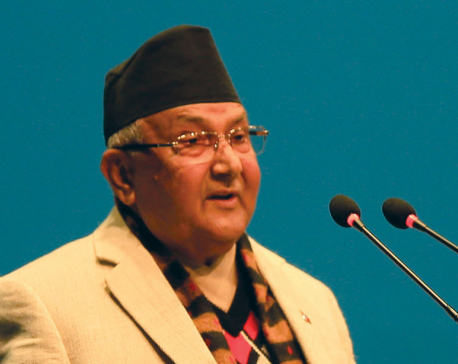 KATHMANDU, Feb 21: Prime Minister and co-chairperson of Nepal Communist Party, KP Sharma Oli has proposed to dissolve the working committee that was formed to conclude the party's unification at the lower level. 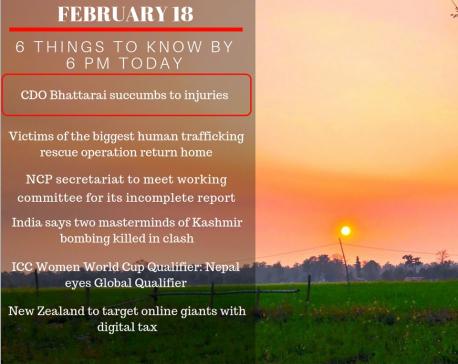 KATHMANDU, Feb 18: The Nepal Communist Party's secretariat meeting has decided to hold meetings with the party unification working committee for submitting an incomplete report. 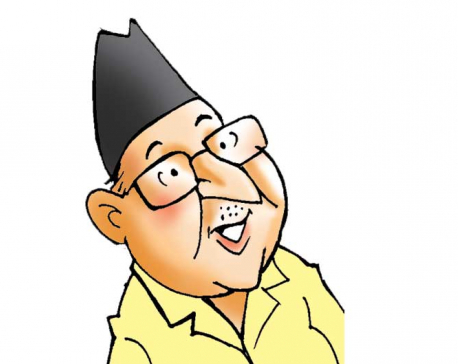 KATHMANDU, Feb 17: Prime Minister K P Oli never appears slow in showing tangible results for his first year in office. But when it comes to time management, he has earned a reputation of never showing up on time. 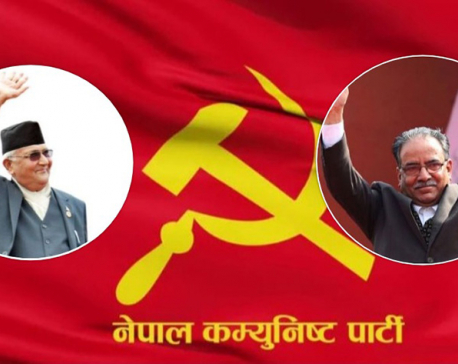 KATHMANDU, Feb 13: Co-chairman of the ruling Nepal Communist Party, Pushpa Kamal Dahal, has claimed that the "international reactionary forces" are hatching conspiracies behind the curtain to disturb the unification between the two communist forces, on Wednesday. 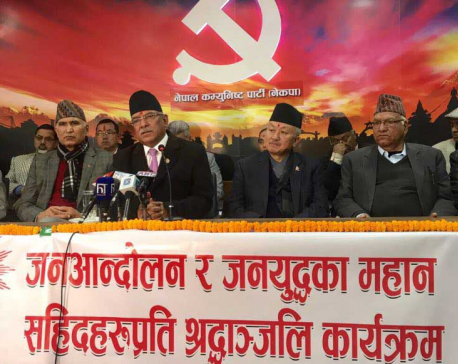 KATHMANDU, Feb 8: Nepal Communist Party (NCP) leaders continue to remain divided over plans to dissolve a high-level unification taskforce after it failed to finalize the merger of lower committees and sister wings within the given deadline. 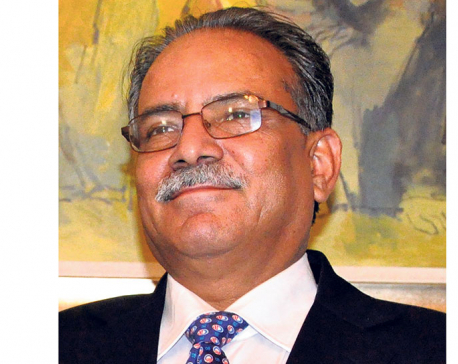 Was Dahal’s statement influenced by the statement of CPI (Marxist)? KATHMANDU, Feb 7: The statement issued by the ruling Nepal Communist Party (NCP) Chairman Pushpa Kamal Dahal regarding the ongoing political crisis in Venezuela has continued to trigger debates at home. 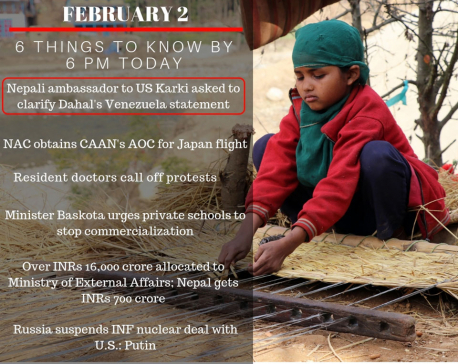 KATHMANDU, Feb 5: The Nepal Communist Party (NCP) on Monday said it stands by its stance denouncing US ‘interference in Venezuela’s internal affairs’, a day after the main opposition Nepali Congress expressed concerns over the recent unease in Nepal-US relations caused by ‘ insensible, immature statements’ issued by the government and NCP Chairman Pushpa Kamal Dahal. SIRAHA, Feb 3: "Siraha is among those districts which kept supporting the Nepal Communist Party (NCP) despite various ongoing rumors and propaganda," said Prime Minister KP Sharma Oli, speaking at the 15th Hem Narayan Memorial Assembly in Siraha on Saturday. 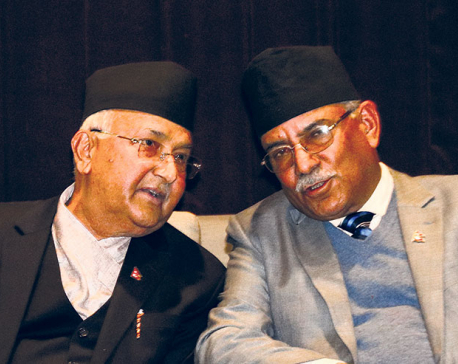 KATHMANDU, Feb 1: Prime Minister and Chairperson of Nepal Communist Party, KP Sharma Oli, has said the party unification process would reach its logical conclusion soon. 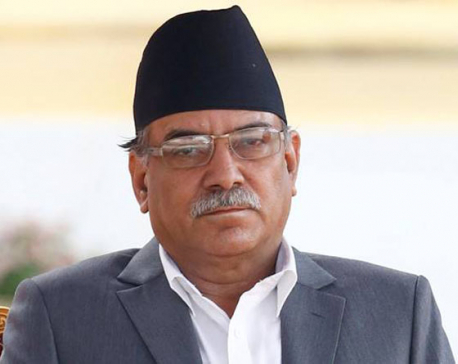 KATHMANDU, Feb 1: The personal secretariat of the ruling Nepal Communist Party (NCP) Chairman Pushpa Kamal Dahal has stated that its attention was drawn seriously on the news report regarding the press release issued by the Chair Dahal on unfolding political situation of Venezuela. The secretariat argued the news report was distorted. KATHMANDU, Jan 26: The decision of the ruling Nepal Communist Party (NCP) to pass the controversial National Medical Education Bill amid protests by the second largest party in parliament is likely to further worsen the already souring relations between the main ruling and opposition parties. 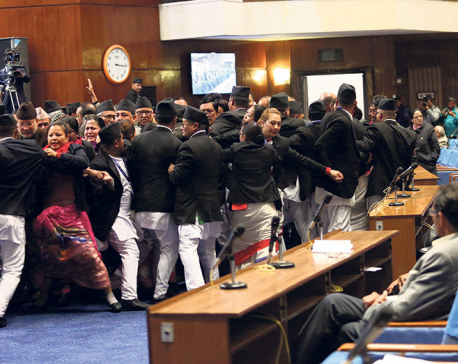 KATHMANDU, Jan 23: Ruling Nepal Communist Party (NCP) and main opposition Nepali Congress (NC) have resorted to a scuffle in parliament on Tuesday after the government pushed the National Medical Education Bill forward for endorsement amid obstruction from the NC. KATHMANDU, Dec 31: Nepal Communist Party (NCP)'s chair Pushpa Kamal Dahal has said his party was planning to head towards a new course of socialist revolution by achieving prosperity. 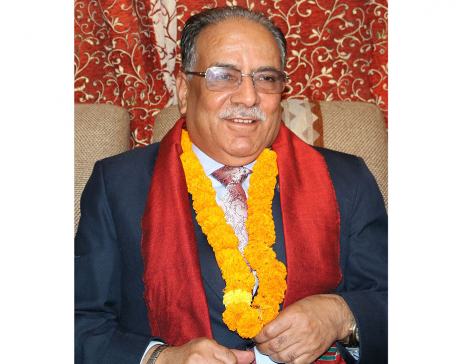 KATHMANDU, Dec 26: Pushpa Kamal Dahal, co-chairperson of Nepal Communist Party, said that it would take time to develop a democratic system and values as the country took its course towards development and prosperity. 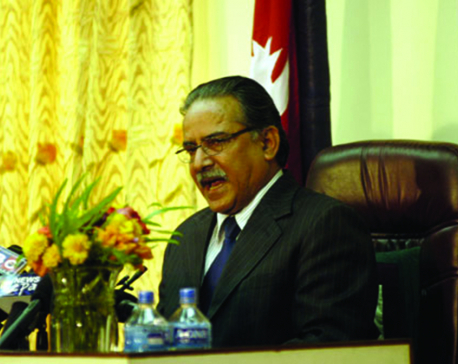 Dahal defended the government's slow-start as he admitted "certain faults" within the system. 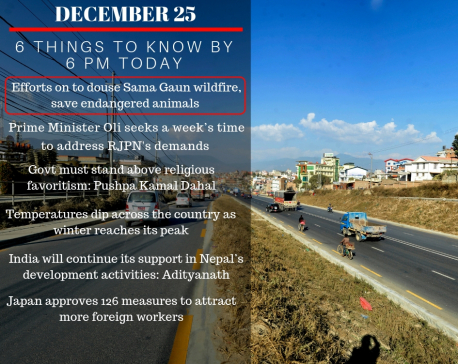 CHITWAN, Dec 25: Pushpa Kamal Dahal, co-chairperson of Nepal Communist Party said that the government must not show favoritism to any religion. He added that the constitution also respected religious freedom and that all believers of religion needed to be treated equally. KATHMANDU, Dec 23: Leaders of the ruling Nepal Communist Party have started a signature campaign demanding the sack for Nepal Telecommunication Authority Chairman Digambar Jha and other controversial appointees to important posts. 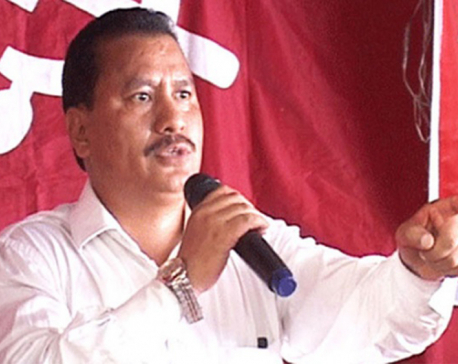 JHAPA, Dec 20: A leader of Nepal Communist Party (NCP) has gone missing from Jhapa district since Wednesday morning. Police have initiated a search for NCP leader Dipak Bhandari after he went out of contact from his residence in Mechinagar-10. 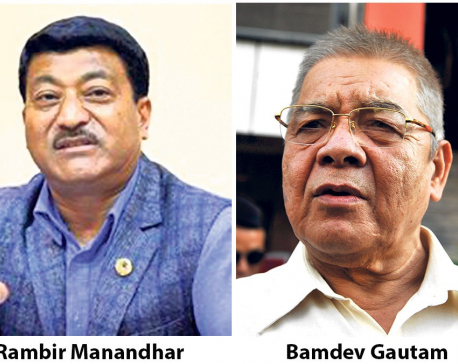 KATHMANDU, Dec 17: Leadership row has emerged within the ruling Nepal Communist Party (NCP) with senior leader Bam Dev Gautam officially tabling a proposal for ‘one leader one post’ at the ongoing Standing Committee meeting Saturday. 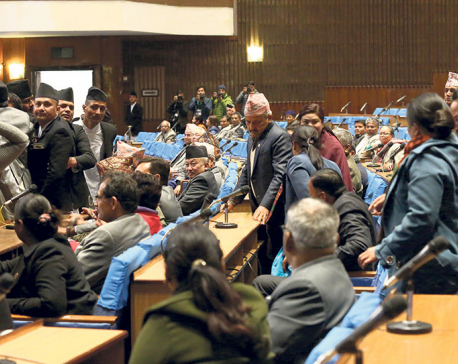 KATMANDU, Dec 16: Ruling Nepal Communist Party (NCP)’s Standing Committee meeting, which started in the capital on Saturday after a gap of months, witnessed a heated debate at the outset after one of the party’s top leaders presented agendas for the meeting. KATHMANDU, Dec 9: A secretariat meeting of the ruling Nepal Communist Party (NCP) on Saturday called a crucial Standing Committee meeting for December 15 following continued pressure from senior leaders on prime minister and party chairman KP Oli to convene the meeting. KATHMANDU, Nov 22: The Nepal Communist Party has called a secretariat meeting at 4 PM today at the Prime Minister's residence, Baluwatar. 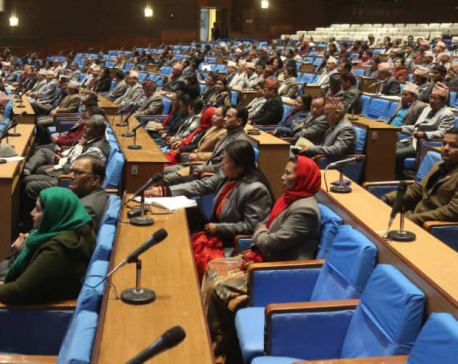 The meeting comes after 21 central committee members submitted a letter to the two chairpersons, KP Sharma Oli and Pushpa Kamal Dahal. 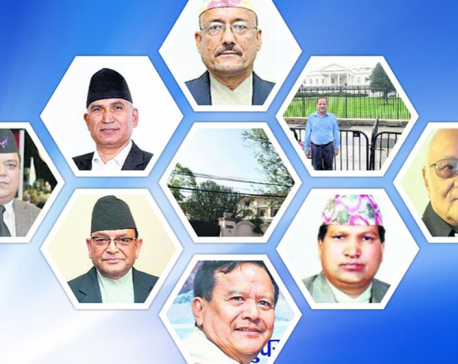 KATHMANDU, Nov 2: Leaders of both the ruling party and the opposition party have stressed on the need to reach a ‘national unity’ to resolve existing differences and lead the country towards economic development. SARLAHI, Nov 1: The main opposition Nepali Congress (NC) has blamed police indifference for Tuesday’s Sarlahi clash between the cadres of the ruling Nepal Communist Party (NCP) and the NC that saw one NC cadre gunned down and seven injured. 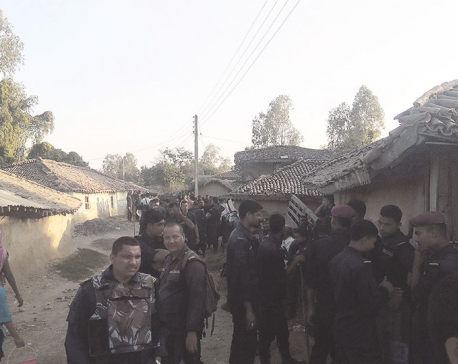 SARLAHI, Oct 31: One person was shot dead while seven others were injured on Tuesday during a clash between the cadres of the ruling Nepal Communist Party (NCP) and the main opposition Nepali Congress (NC) in Ramnagar Rural Municipality of Sarlahi. KATHMANDU, Oct 28: Maya Devi Bhusal, 65, a resident of Gulmi, had already waited in queue for more than an hour to enter the venue of the tea reception hosted by the ruling Nepal Communist Party (NCP) on Saturday. Yet, the serpentine line in front of her didn't seem to move forward. 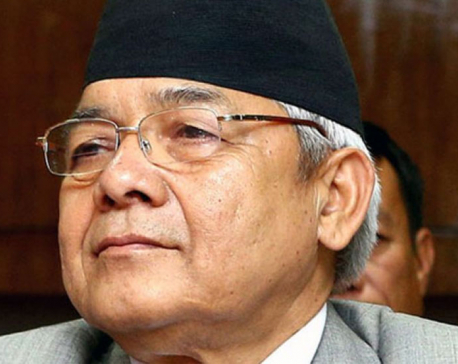 KATHMANDU, Oct 28: Prime Minister K P Oli missed the tea reception organized by his party, Nepal Communist Party (NCP), on Saturday, after doctors advised him to take bed rest for a few days as the PM has common cold and cough "due to chest infection". 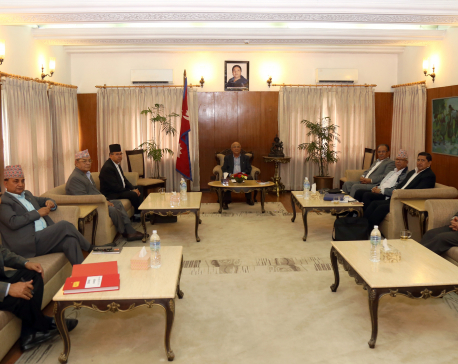 KATHMANDU, Oct 7: The ruling Nepal Communist Party (NCP) is holding a meeting of its party secretariat today. 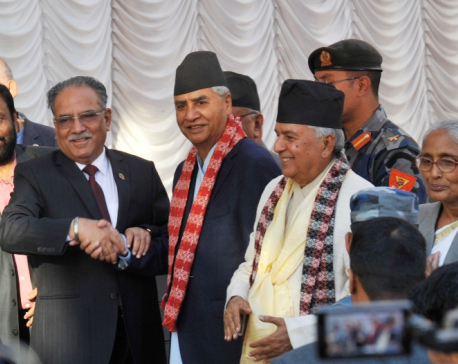 KATHMANDU, Oct 6: Chairman of Nepal Communist Party (CPN) Pushpa Kamal Dahal has said the unification of the party in the province and district levels would be concluded soon. 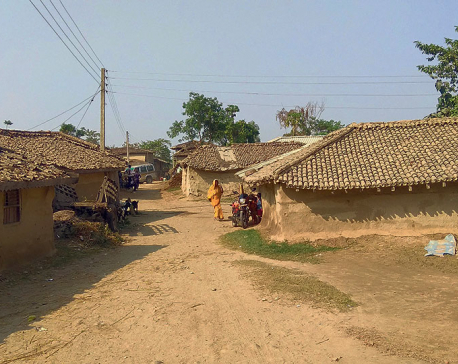 JANAKPURDHAM, Oct 6: As the federal government did not pay much attention into arranging required staffers, Province 2 government has forwarded the procedure for appointing staff in contract basis on its own. KATHMANDU, Oct 6: In a sign of rapprochement with disgruntled factions in the party, chairmen duo of the ruling Nepal Communist Party (NCP) KP Oli and Pushpa Kamal Dahal have decided to hold the party's secretariat meeting on Sunday. 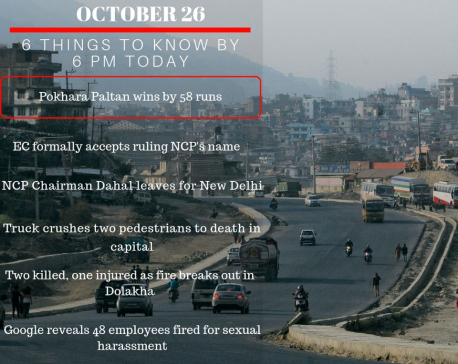 DHANGADHI, Sept 29: Province 7 has been named Far-western Province from Friday with Godawari in Kailali district as its capital. A decision to this effect was taken on Friday despite friction over the choices.